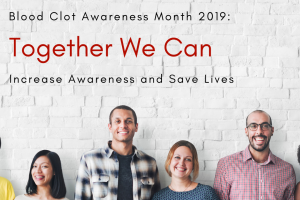 This is the 5th installment in the National Blood Clot Alliance (formerly known as The National Alliance for Thrombosis & Thrombophilia) (NBCA) video series of its signature Stop The Clot® Forum held in Minneapolis last fall. The theme is Thrombosis & Thrombophilia: The New Frontier in Public Health, and was produced as part of a Cooperative Agreement with The Centers for Disease Control and Prevention (CDC). The Minnesota chapter of NBCA (NBCA-MN) presented this comprehensive Stop The Clot Forum to address the key issues faced by patients and families affected by blood clots and clotting disorders. This 6 part installment features personal stories of blood clot survival and a special 2 part panel discussion with questions from the audience for the panel. “The Voices of Experience: A Panel of Patients Living with Blood Clots”, Lisa Boyd, Dale Hammerschmidt, MD, Pam Pariana, Carl Cadwallader – tell their stories. Stop The Clot Panel Discussion – Lisa Boyd, Lisa Boyd relates her story of getting a blood clot and her personal activism to this cause. Stop The Clot Panel Discussion – Carl Cadwallader, Carl Cadwallader tells how he has coped with a number of clots as an otherwise healthy man. Visit NBCA’s YouTube Channel. Click here. The video production for these programs was done by REM Video & Event Company, St. Louis Park, Minnesota.